Record WhatsApp calls: Billions of people can be use WhatsApp around the world. Everyone can use WhatsApp for chatting and calling. When some peoples calling in WhatsApp. They tried to record their WhatsApp calls. But WhatsApp has no recording feature and people cannot record their WhatsApp calls. 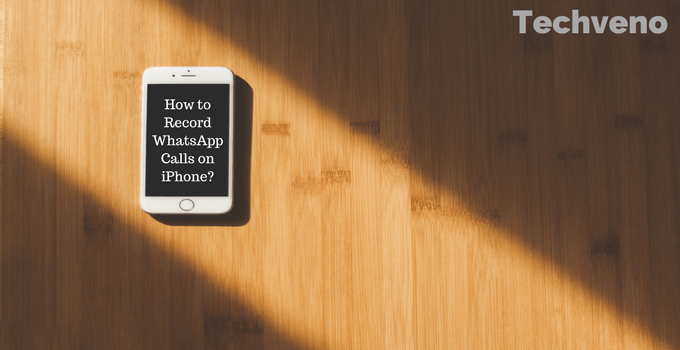 Today in this article I am going to sharing with you how to record WhatsApp calls on Android/iPhone? 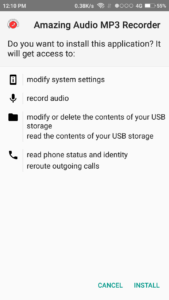 1 How to Record WhatsApp Calls On Android/iPhone? 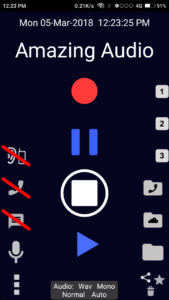 1.1 Why We Record WhatsApp Calls on Android/iPhone? 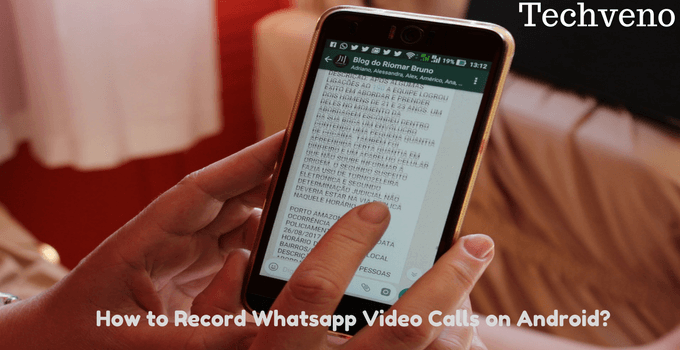 1.2 How to Record WhatsApp calls on Android with WhatsApp Call Recorder App? 1.3 Record WhatsApp calls on Android with messenger call recorder app. 1.4 How to Record Whatsapp Calls on iPhone? 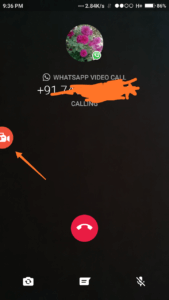 1.5 How to Record WhatsApp Video Calls on Android? 1.6 How to Record Whatsapp Video Calls on iPhone? 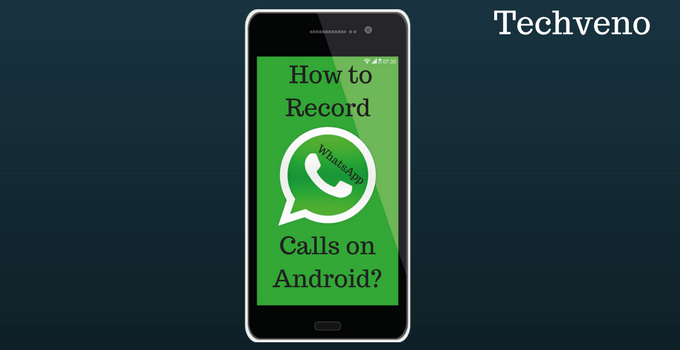 1.7 Video Tutorial: How to Record Whatsapp Calls On Android/iPhone? 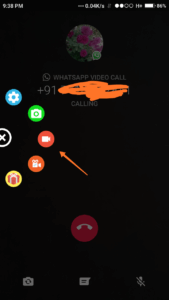 How to Record WhatsApp Calls On Android/iPhone? This question is mainly appear in all peoples mind. Because of WhatsApp has no recording feature to record calls. We can download any apps to record WhatsApp calls. I can write in given below article about record WhatsApp calls. These apps work on android without root. Follow given steps to record WhatsApp calls with WhatsApp recorder apk. Why We Record WhatsApp Calls on Android/iPhone? We are recording WhatsApp calls because If we talk to a relative or a close person, we record their calls to keep their memories fresh. If someone tries to abuse us, then we can record his call and make these recording as a proof against him and file a report against him. Must Read: How to Bypass phone number Verification in Any Website/App? 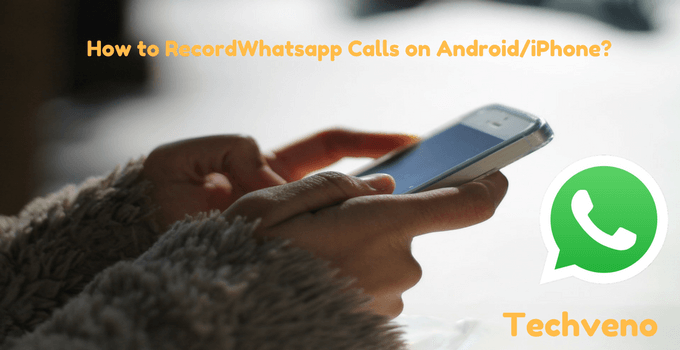 How to Record WhatsApp calls on Android with WhatsApp Call Recorder App? If you can record WhatsApp calls on your android device. Follow given steps to record WhatsApp calls. #Step1: The first step is you can download Amazing voice recorder app from given below link. #Step2: After download, install Amazing voice recorder app on your mobile. #Step3: After installation process open Amazing voice recorder apk. #Step4: After open the app you will see some option. Click on red round button to start your recording. 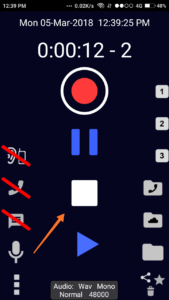 After the calls get connected open Amazing voice recorder app and click on red round button to start your recording. #Step5: When you can want to stop your recording. Click on the square button below on the pause button. #Step6: After click on the square button your WhatsApp call recording is directly saved to your sd card. 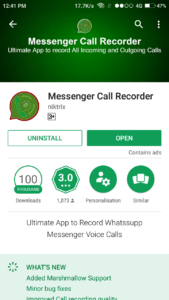 Record WhatsApp calls on Android with messenger call recorder app. #Step1: The first step is you can download messenger call recorder app from play store or given below link. #Step2: After installing, open the app. 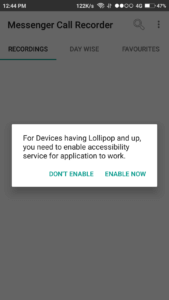 It will ask you (For Devices having Lollipop and up, you need to enable accessibility service for application to work). Click on Enable now. 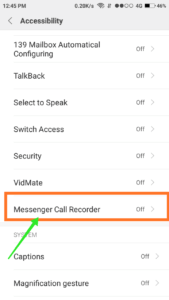 #Step3: Ater that, click on messenger call recorder in accessibility settings. #Step4: Now, you can click on accessibility and turned on the accessibility. #Step5: After turn on the accessibility, your WhatsApp calls record automatically and save in the messenger call recorder app. #Step6: If you want to listen those recorded calls, open the app and click on recorded calls to listen. How to Record Whatsapp Calls on iPhone? In this paragraph, I am going to tell you, how to record WhatsApp calls on iPhone? Now I am sharing with you best WhatsApp call recorder app for iPhone. It is real call recorder for WhatsApp. Follow given steps to record WhatsApp calls on iPhone. #Step1: First of all you need to jailbreak your iPhone. After that, you will record WhatsApp calls in iPhone. #Step2: Install Cydia on your iPhone. #Step3: Open Cydia in your phone and search watusi in the big boss repo to download. #Step4: Watusi is a premium application. It will cost you 1.99$. Now you can purchase watusi app and search on google to get free. #Step5: After installing watusi app on your iPhone. Open WhatsApp and go to settings. 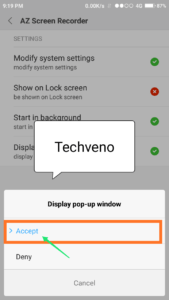 #Step6: Now you can see an option of Watusi preference in the settings. Now click on record calls option and enable it. #Step7: When you can call to anyone with WhatsApp, your Whatsapp calls record automatically. 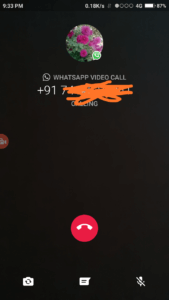 How to Record WhatsApp Video Calls on Android? In this paragraph, I can use any one of the best screen recorder app to record WhatsApp video calls on android. I have used already Az Screen Recorder app in these article. 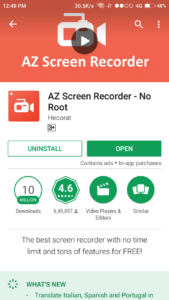 #Step1: First of all you can download Az Screen Recorder app from google play store or given below link. 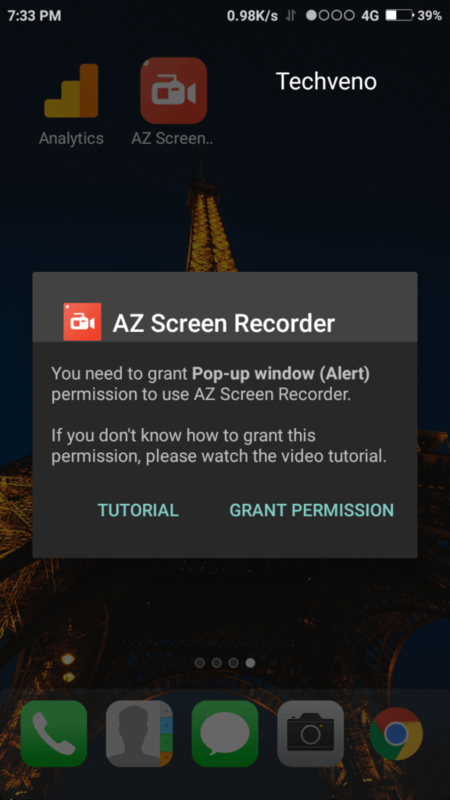 #Step2: The second step is you can open Az Screen Recorder app. It can say, you need to grant permission. Click on grant permission. 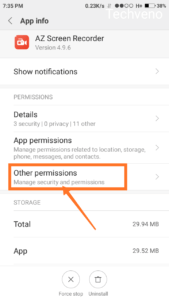 #Step3: After that, you can click on other permission. 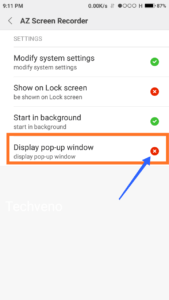 #Step3: The third step is that you can click on the Display pop-up window. After that click on accept. #Step4: After that click on accept. #Step5: Now you can open your WhatsApp and make a video call. 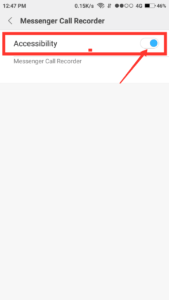 # Step6: After that, you can click on Az Screen Recorder sign. #Step7: Now you can click on video sign to start recording. How to Record Whatsapp Video Calls on iPhone? First of all, you can download any one of best screen recorder apps for iPhone and after that. You can follow given above steps to record WhatsApp video calls on iPhone. This process is same as record WhatsApp video calls on android. 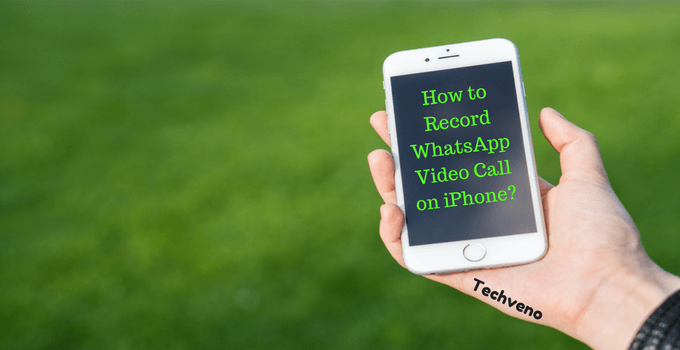 Video Tutorial: How to Record Whatsapp Calls On Android/iPhone? If you can read these article and not know, How to Record WhatsApp Calls on Android/iPhone? So you see this video tutorial to the end. Must Read: How to use Dual Whatsapp Account? Hey, guys, this is an easy guide to Record WhatsApp Calls on Android/iPhone. I have define these guide step by step. Lots of peoples do not know about, How to Record WhatsApp Calls? So they can search for record WhatsApp calls. So today I am sharing a guide on WhatsApp call recorder. I hope you like these guide, share with your friends. If you have to face any problem. So you can comment me your problem. Wow. That’s a lot! I am using both iPhone and Android and so far I only have WhatsApp call recorder for iPhone, which is the Acethinker iPhone Screen Recorder. It really works fairly well. For Android, I might try the WhatsApp Call Recorder that you mentioned there. Thank you!! Welcome, Bryce keeps visiting techveno.